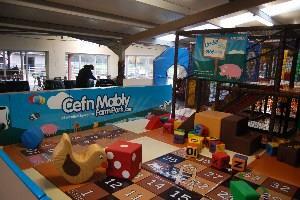 Childrens Parties at Cefn Mably Farm Park Children's PartyParties are charged per child (10 min) which includes entry to the Farm Park plus one accompanying adult to each child. A party room for two and a half hours, a hot or cold meal box with a drink and ice cream for desert for each child. All can then stay and play at the Farm Park for as long as desired. veggie teddy - all with home made chips and squash. Cold meal box: ham, cheese or jam sandwich - bag of crisps, Kit-Kat and squash. Parties are charged per child (10 min) which includes entry to the Farm Park plus one accompanying adult to each child. Head towards Newport on the A48 ( the main road between the two cities). Then follow the brown and white signs from Castleton (left hand turn). Head towards Cardiff on the A48 ( the main road between the two cities). Then follow the brown and white signs from Castleton (right hand turn). Exit at J28 Newport Tredegar Park. At the roundabout take the A48 towards Cardiff. Stay on the road for approx 2.5 miles where you will reach Castleton. Follow the brown and white signs opposite the petrol station in Castleton.